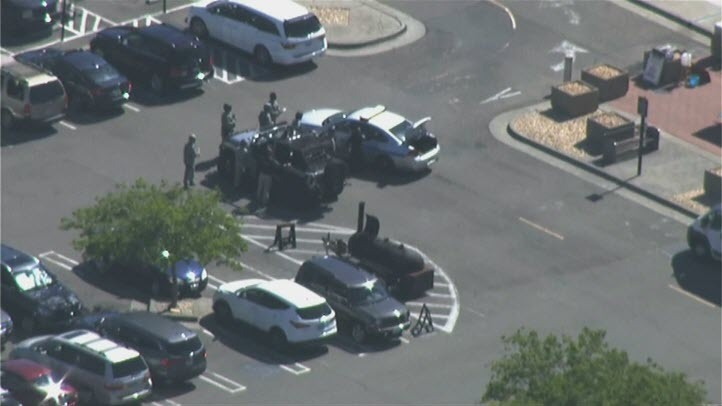 Sacramento, CA – A witness at the scene says there is an active shooter situation at the shopping center on base CBS Sacramento reports. The public is being asked to stay away from the base while emergency responders do their job. Officials on Wednesday are responding to a “real world security incident” at Travis Air Force Base in Fairfield in Solano County. A Facebook post around 3:30 p.m. advised people to avoid the area so emergency responders can do their jobs. People were also urged to shelter in place and asked to lock doors and windows. The facility’s main gate was closed, Fairfield police wrote on Twitter, and social media users reported an alleged active shooter situation. Officials have yet to confirm that detail. UPDATE: Emergency personnel responded to reports of gun shots @the Base Exchange. It was determined to be a false alarm. Lockdown is lifted.